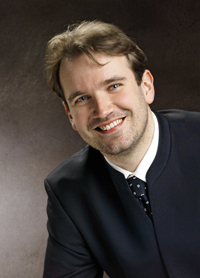 Tommi Hakala, BBC Singer of the World in 2003, graduated from the Sibelius Academy in Helsinki and studied in Karlsruhe before starting his career as a baritone in Germany and his native Finland. A regular guest of the Finnish National Opera and the Savonlinna Opera Festival, he has held positions at the Nuremberg Opera (1998-2001) as well as the Leipzig Opera (2001-2004) and is now working internationally as a freelance artist. He has made guest appearances as Guglielmo in Così fan tutte at the Finnish National Opera, and at the Savonlinna Opera Festival in Sallinen’s Ratsumies (The Horseman), in Tannhäuser, as Valentin in Faust and in the new opera Isän tyttö (Daddy’s Girl) by Olli Kortekangas in 2007. In 2006, Hakala made his début at the Metropolitan Opera in New York as Valentin in Faust and in San Francisco in Le nozze di Figaro. He will be appearing in Le nozze di Figaro again in Atlanta in 2008, and also in Massenet’s Manon at the Metropolitan. His recent guest appearances include Sibelius’s Kullervo in Amsterdam and Dortmund, Evgeny Onegin in Tel Aviv and Don Carlos in Copenhagen. He is also much in demand as a Lied singer and orchestra soloist. His repertoire includes Britten’s War Requiem, Mendelssohn’s Paulus and Zemlinsky’s Lyric Symphony. He sang the title role in the recording of Sallinen’s opera Kuningas lähtee Ranskaan (The King Goes Forth to France) with the Helsinki Philharmonic Orchestra conducted by Okko Kamu (ODE 1066-2D).